Lock in a great price for Pousada Hotel Brunello – rated 8.5 by recent guests! Delicious breakfast with many options. Coffee was of good quality and flavorful. Room was comfortable and clean. Staff was exceptional and very friendly! It's everything perfect. Staff is very attentive, breakfast is wonderful and location is excellent. In front is the beach (Jabaquara) and 10 minutes from historic downtown walking. We asked to be moved from a basic room down the back to one upstairs where we had a balcony with views. This was great. We were not happy with the room at the back. 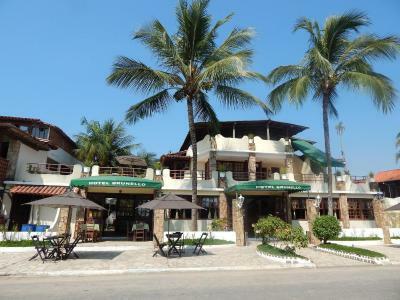 Ótimo café da manhã, melhor do que isso é a localização, que foi excelente, em frente à praia ! Localização muito boa, fora do movimento do centro histórico e com a praia em frente, apenas atravessando a rua! Localização excelente, com opções de restaurantes próximo e com bons preços, café da manhã muito bom com várias opções de frutas, bolos e pães. Sobre o quarto tudo certo , garagem grande , café da manhã com bastante variedades . Funcionario Sergio super gentil e solicito ,ofereceu acomodacao superior a reservada .Cafe da manha maravilhoso,e localizacao perfeita.Estavamos em 2 adultos e 1 crianca de 3 anos. One of our top picks in Paraty.Overlooking Paraty’s Jabaquara Beach, Brunello features a pool with a hot tub and sunloungers. 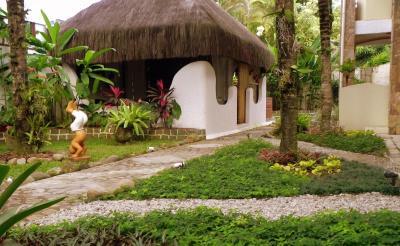 This beachfront guest house has free WiFi and a daily buffet breakfast with juices, cakes, pastries and breads. With a balcony and garden views, the nonsmoking rooms offer air conditioning, mini-bar, TV and ceiling fan. They are all equipped with a private bathroom. Just 0.6 mi from Paraty historic center, Hotel Brunello is 3.1 mi away from Corumbê beach. Prainha Beach is 6.2 mi from the guest house. When would you like to stay at Pousada Hotel Brunello? This air-conditioned room features a flat-screen TV and cable channel, mini-bar, solar water heating and private bathroom. This triple room features air conditioning, a flat-screen TV with cable channels and a mini-bar. Guests will also find a private bathroom fitted with a shower. This room includes air conditioning, a TV, a mini-bar and a simple double bed. Guests will also find a private bathroom fitted with a shower. Facilities for this room include air conditioning, a TV, mini-bar and private bathroom with a hot shower. Boasting a balcony with sea views, this air-conditioned room comes with a 32-inch LED TV with cable, mini-bar and private bathroom with a solar-heated shower. House Rules Pousada Hotel Brunello takes special requests – add in the next step! Pousada Hotel Brunello accepts these cards and reserves the right to temporarily hold an amount prior to arrival. A bit far from the town, 20 minute walk, partially uphill. Internet was very poor quality, did not work in the room.